You can travel from Ironforge to the Gnomeregan outdoor instance part, move down the elevator and path 2 times to the left after you see the first elite trogg to reach the teleporter. Just enter it and you are in Boot Bay. Fetch the ship to the Barrens for Warlock quests or Wailing Cavern runs.... From personal experience it has taken 20-30 minutes to walk to Ironforge from Darnassus, varying on the amount of creeps you aggro in wetlands and Loch Modan. Comentado por twarden94 OK for any of you who dont know about the whole world tree info its like this. 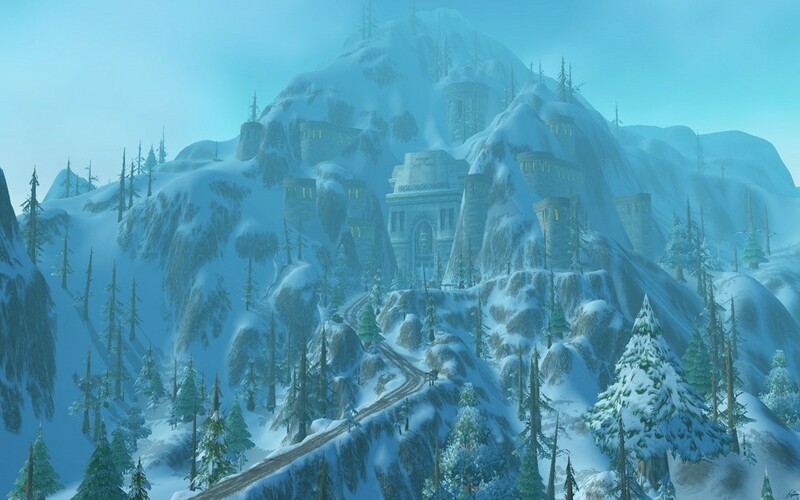 From personal experience it has taken 20-30 minutes to walk to Ironforge from Darnassus, varying on the amount of creeps you aggro in wetlands and Loch Modan. Comentario de twarden94 OK for any of you who dont know about the whole world tree info its like this. Commento di bluwulf27 Become one of Greatfather Winter's helpers. All you have to do is go just outside of the city of Ironforge (just to the left if your coming out, and on the right if your going in) and step into the machine and you will instantly be transformed into a green or red gnome!! Comentario de bluwulf27 Become one of Greatfather Winter's helpers. All you have to do is go just outside of the city of Ironforge (just to the left if your coming out, and on the right if your going in) and step into the machine and you will instantly be transformed into a green or red gnome!! From personal experience it has taken 20-30 minutes to walk to Ironforge from Darnassus, varying on the amount of creeps you aggro in wetlands and Loch Modan. Comentado por twarden94 OK for any of you who dont know about the whole world tree info its like this. 11/12/2010�� I see three docks with boats in Rut'Theran Village, one goes to The Exodar, one to Stormwind, and one just sits there with no NPCs on it. I already had the FP to Auberdine from pre-Cataclysm which takes me to Lor'danel now.